With over 20 years experience installing and supplying solid fuel stoves in Waterford, Boyhill Cookers is a trusted family business based in county Fermanagh and serving all of Ireland, that continues to deliver the best quality and selection of both traditional and up-to-the-minute contemporary style stoves Waterford demands. We have a great range of wood burning stoves on display at our showroom at all times so that visitors can see them in action, and we can answer all your wood stove queries and concerns. Looking for a wood burning back boiler stove or convection stove? No problem, just give us a call or drop in to talk to us now. Among the best of high quality insert stoves Waterford has seen are the Stovax, Esse, and Dovre brands, which are strongly represented in our range. Come and view these beautiful stoves in action and get a first-hand feel for the power and efficiency of these models. You will be delighted and amazed. At Boyhill Cookers & Stoves, we only stock and recommend what we believe (after many years of firsthand experience) to be the most reliable, efficient, clean-burning and value for money solid fuel stoves Ireland has to offer. With us, you will never feel pushed into a purchase by high-pressure sales people. We are low key and have a base of loyal, satisfied repeat customers throughout Ireland and the UK. We aim to help you find the perfect stove for your needs by listening carefully to what you have to say and then offering you the benefit of both our experience. We hope that Boyhill Stoves Ireland remains the supplier of the best selection of stoves Northern Ireland or Southern Ireland has to offer for a long time. 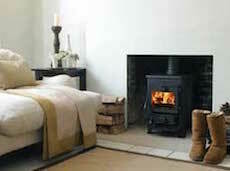 We are continuing to expand all the time to make the best selection of stoves that anyone in Ireland has to offer you. Also, if you don’t see what you want we may still be able to source it for you, just talk to us. So, for top quality stoves in Waterford, friendly service and excellent value for money, contact us today! Visit our showroom in Lisnaskea.